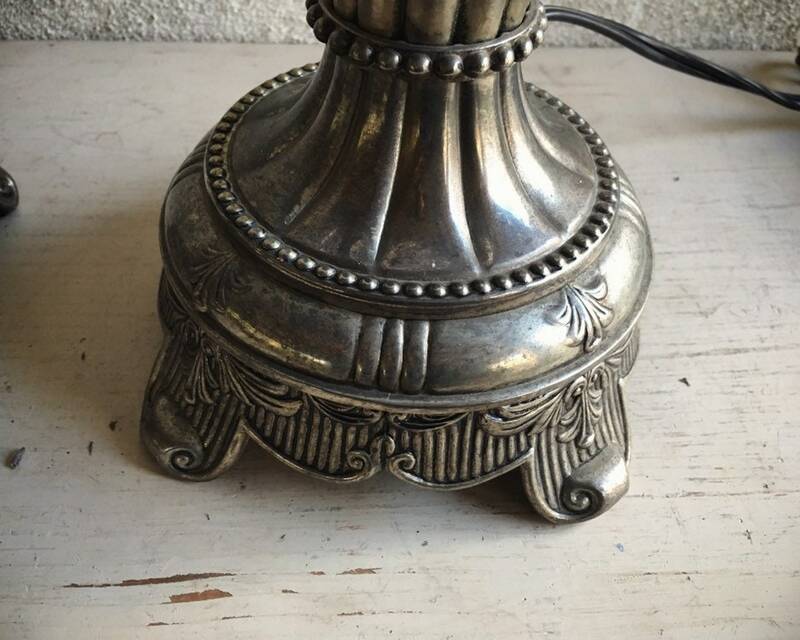 These electric table lamps were made by Godinger Silver Company, over a fairly long period of time. 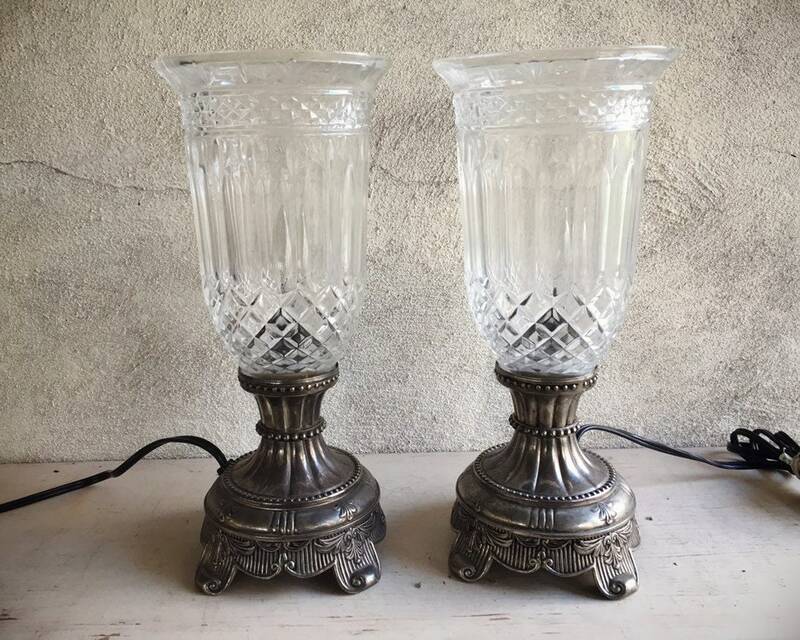 I purchased the two from an estate and they are absolutely beautiful when lit, and because there are two, they are perfect when set apart with evergreen boughs on a holiday table or sidebar. 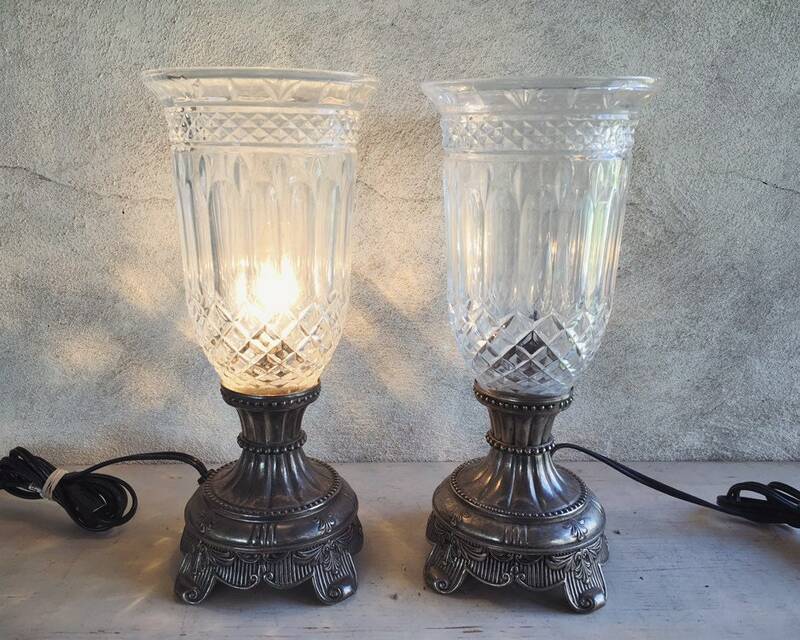 But even as an everyday lamp, they would add Old World elegance to a Victorian home or to any home that has elegant decor. 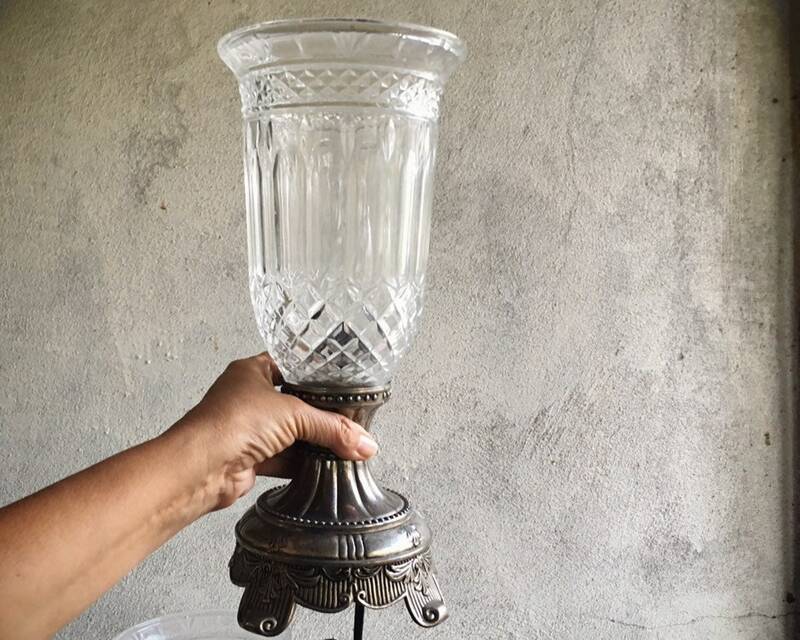 The base is silver plated, and the hurricane "shade" is crystal. 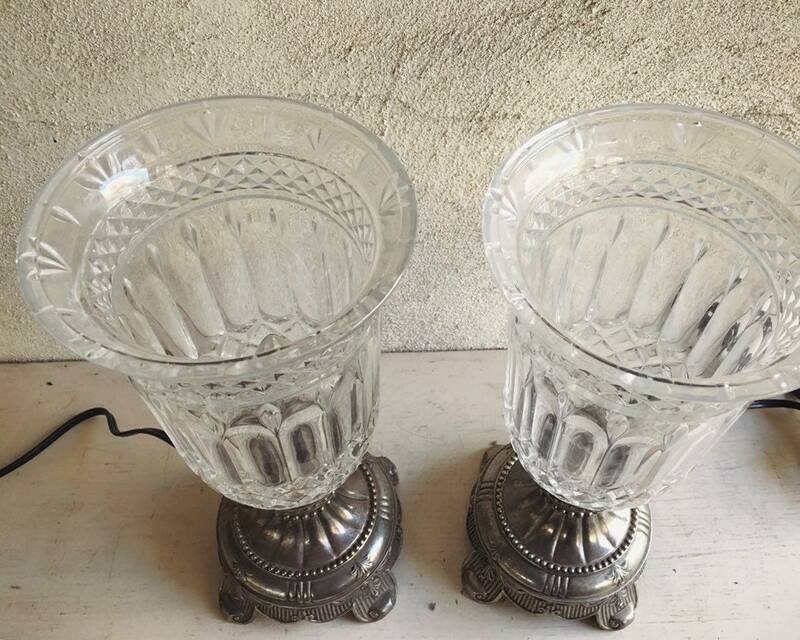 Each lamp measures just under 13" tall, and the opening of the crystal shade is about 6-1/2" in diameter at the mouth. These were set up in the home library and are in working condition. 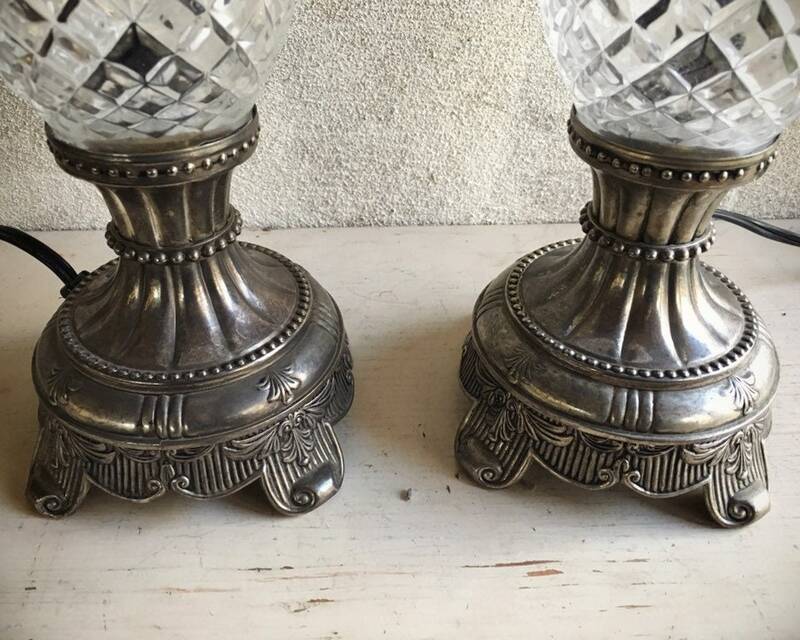 The silver plate is also in good condition, and no cracks nor chips in the crystal.